Manchester Noise Pop Rising Stars False Advertising Take Us Through Five Albums That Shaped Them And Their Upcoming Debut Album. 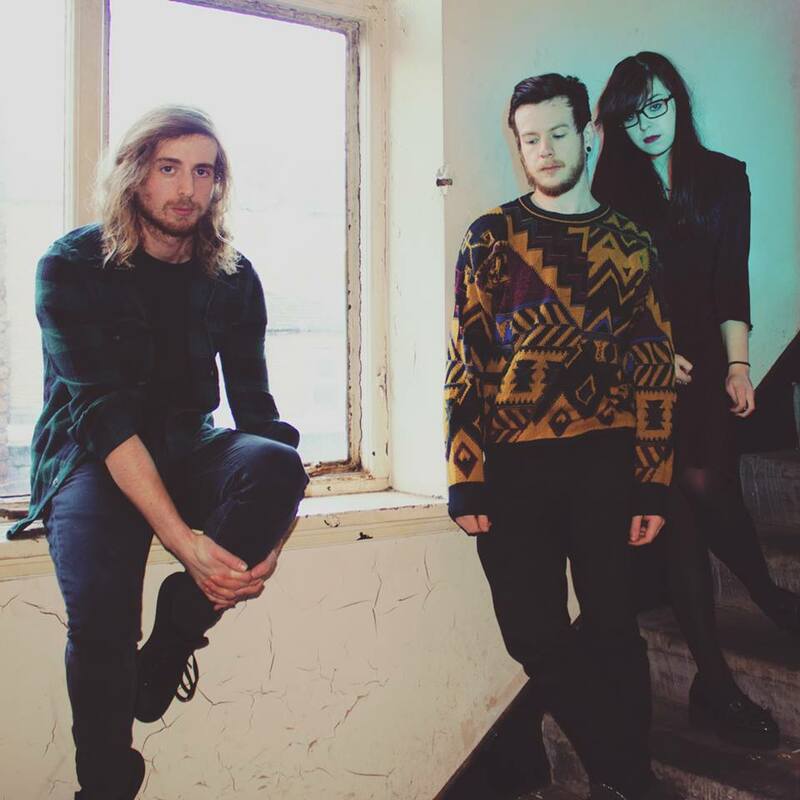 Manchester trio False Advertising have a lot of people making a lot of noise in the build up to their debut due out in September, but they took the to talk about what albums influenced them and the creative process. From what these albums taught them to how they shaped the band, check out five albums that shaped false advertising. Jen: Hearing this when I was a teenager helped me to understand that catchy melodic hooks can thrive alongside loudness, distortion and rhythmic complexity. The combination and contrast between these things makes for super contagious songwriting (at least for me), and thusly this album helped me to become a bit of a Reuben mega-fan in the mid to late ‘00s. In fact, you can spot a 16 year old me in the opening seconds of the video for their goodbye single. Before discovering this, albums like The Colour and The Shape by Foo Fighters, Pinkerton by Weezer and Infinity Land by Biffy Clyro had helped steer me down this songwriting track. Which I’m fairly sure is a huge part of why our songs sound the way they do. Jen: I first heard this when Chris and I were in the early stages of writing our album. You could say that Major Arcana – which had a lot of the elements that I’d sought for our sound acted as a bit of an ‘inspiration catalyst’, which no doubt made it’s mark on the songs that we’ve written. Especially when it comes to song structure and guitar playing. Chris: Yeah, I’m not sure how much it consciously influenced me, but it definitely had an effect as we were listening to it at the time. I have to say, Sadie Dupuis’ Lyrical prowess is enviable, which in the very least inspired me to try harder as it’s probably the weakest link in my chain. Josh : The interplay between the guitar and vocals really clicked with me – it’s so infectious. But more importantly, it also drew my attention towards how the rhythm section can set such a strong foundation for all that jagged melody to sit over. Jen: Sick songs, sick drumming, PERFECT fuzz guitar tone. Over a number of years I’ve put hours and hours into finding my own version of the thick fuzz tone that Corgan uses across this album, never really ever getting anywhere close. Mid-way through our recording process, I was in my flat playing my tiny practice amp with some fuzz pedals and out of no-where I manage to achieve what we’ve now come to know as ‘dream tone’. It’s not quite the same as Corgan’s version (obviously), but it gave us a great starting point for the guitar tones we use. Queens of the Stone Age would be the other band I’d reference that helped shape our approach to tone in general. Chris: It took me a little while to get into Daisy, but that’s what I love about Brand New, every album is a clear evolution from the last so your mind kinda needs to adjust. Its in-your-face production which makes a feature of compression really inspired me when we started to make our album. Particularly when it comes to the drum sound, it’s sorta trashy sounding and uses a lot of distortion on the vocals too. Another thing that has always been very important to me is how faithful you can be to your own music live, I didn’t think Brand New would be able to pull off the first track “Vices” for example, but when I saw them play it live it had the same raw, disjointed, energetic and emotional release. Parts that sounded ad-libbed or off the cuff were faithfully reproduced. In the same vein as Brand New, we’ve always stuck to three instrument parts on record so we can stay true to our sound when you come and see us. Hopefully giving you the best experience possible. Jen: We all bloody love this album, while we all have a soft spot for the nu-metal of 2001 ish, Incubus were just miles above their peers at the time. Chris: It’s a freekin masterpiece. It might not be their most progressive as it’s quite poppy, but it’s very complete and in my opinion the pinnacle of their originality. “Are You In” has one of the nicest sounding drum recordings I think I’ve ever heard. This inspires me mostly in the sense that I can’t believe it exists, it’s actually amazing to me how good it is and what a band can be capable of. Josh: Man, this album – I could talk about it all day . Vibe, production, dynamics, tone, lyrics, musicianship, It’s got everything. I remember when I first started playing bass, listening to Alex Katunich’s bass playing evolve from a slap / technical style – to a more subtle approach in Morning View opened my eyes. It’s helped me to be more restrained and supportive in my own bass parts to the song as a whole.